I'm posting the course from today's rally class. I wanted the teams to work fronts and right finishes this week (#13 and #15) . I also like throwing in the one-two-three step exercises as it takes a bit of time, repetition and muscle memory to get the footwork to be second nature. This was the first real course for the students in this session - now that we've covered all of the novice signs, I wanted to give them a taste of they might see in a trial, so I assembled a course that met the requirements for a real AKC novice course (10-15 numbered signs and 3-5 stationary signs). There's a trick in this course, can you find it? 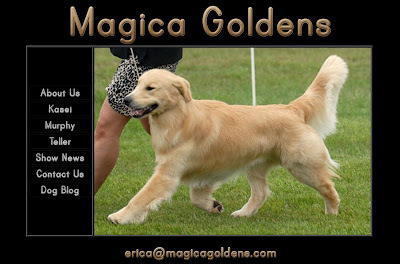 The original magicagoldens.com website was launched back in 2008, as such it was way overdue for a face-lift and refresh. Have a look at the new site and let us know what you think! We have exactly two local trials every year - one in April and the other in July. Last year I ran both dogs in both trials, Teller ran in novice preferred - his second AKC trial and Murphy ran in excellent. It was a little chaotic, but the one ring trial made it more than possible. The random draw for the April agility trial closes next week and I've debated my entry. It's a local show, I'm a club member and I'm on the event committee so I'm already committed to be there all weekend- so Teller's entry is a given. My consternation has been Murphy's entry. Should I put him into novice preferred jumpers just so he gets to play? I did process and fill out an entry for him and signed it...it's ready to go. He's historically liked footing like the stuff at the new trial location. But I kept going back to why. Any entry I put in for Murphy is an entry for me. Do I really need to walk and run a novice course? Do I really need to run a dog that has told me he'd rather just have free cookies and go on therapy visits? 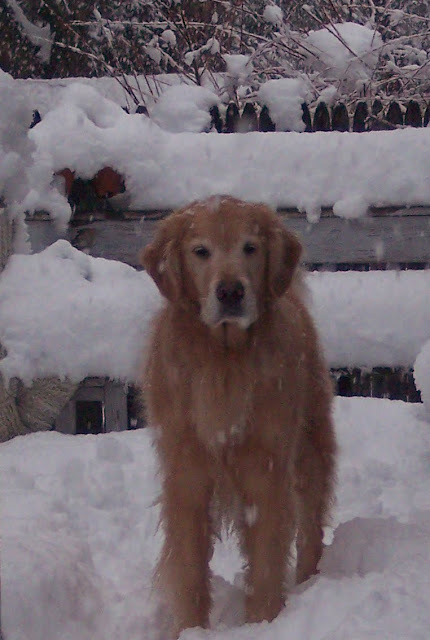 Why is Murphy's retirement so difficult for me? It's not difficult for him. He happily goes along for the ride at trials, enjoys visiting the people and the better cookies that come with dog shows of all flavors. At home and among friends and students I've called it semi-retirement because at almost six years old he does actually like to train and play training games, He enjoys running some agility from time to time - though he's not a fan of repetition or skill drills. Murphy LOVES helping me teach my CGC class, it's fun to watch him strut his stuff in the "greeting a friendly stranger with a friendly dog" exercise. Murphy has that lesson plan mastered...trot (bounce) out in quasi-heel position to the handler and their dog, sit while the other dog either jumps on his head, strains at the leash and then finally a few weeks later sits politely while I shake hands with their handler. As soon as the handshake is complete Murphy takes exactly four more trotting bounce steps before he switches to reward mode and gallops to his cookie - only to repeat the process ten or fifteen times. 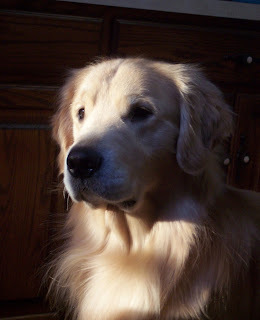 Murphy excels as a therapy dog, his quiet and introspective demeanor is so ideally suited to therapy work - he particularly enjoys reading with children who show him pictures, lifting his head as if he understands (and appreciates) their explanations of the scene in front of him. Murphy excels in puppy play and socialization too - he has so many wonderful skills and joys but he has never been one who's loved to trial, the pressure of trialing or all of those eyeballs on him. So I mailed my entry for the BOTC trial - and it's one entry. One dog. 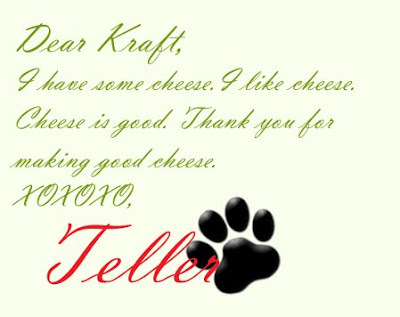 Only Teller. Murphy will go along as chase crew and cheering squad. Murphy will get the special trial cookies (I make a special trip to Papa Franks for meatballs) and Murphy will get his chance to work the crowd, pick pockets and try to convince the sweet spectators that he never gets any cookies (or cheeseburgers) and never gets any attention...but I'm not going to ask him to run agility this time around. He doesn't miss the spotlight. I know it's the right decision - but it's still a hard decision. There hasn't been much snow in Vermont this year. Lots and lots and lots of snow in the NoVa and DC/Maryland area - close to 5' in some places - but other than one big storm over New Years' weekend (33" but was gone a week later) - we haven't had many storms this winter... 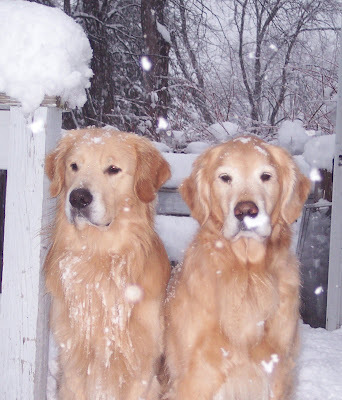 I took some pictures of the boys out enjoying the snow before dinner tonight. When I left for the Amherst show this weekend I knew that I would finish "Secrets of Eden" on the ride down, so I needed (wanted) to download another audiobook. I poked around audible but didn't find a book that really screamed "download me!!". There are a couple that I'm dying to listen to that aren't released yet. David Baldacci's works have been a recent find and have been consistently good stories that are engaging yet flow relatively well when consumed in small segments. If I have any complaints regardling David Baldacci's novels - at least the ones I have read - is that at between twelve and sixteen hours I've felt like there was an awful lot of dialogue that wasn't really relevant and if the audio productions had been trimmed by say - 90 minutes each that the overall experience would have been more pleasureable. So with that in mind, I downloaded the abridged version of "Simple Genius" by David Baldacci. Right from the beginning I felt like huge chunks of relevant information had been removed from the story. While the general jist of the plot remained, the characters went wholly undeveloped. "Simple Genius" is typical of a Baldacci government conspiracy with a twist, this time in the world of CIA mathematicians and spies. At the center of the story is a young orphan - imprinted by her father - with clues to unravel the mysterious deaths at Camp Perry - a highly classified installation in Northern Virgina - just outside of DC. There was so much potential in the story concept and the characters could have been rich and vibrant. I won't know if these problems were a result of the abridging or if these same faults exist in the full text as well. There was a point about four hours into the listen, I stopped for fuel and when I got back in the car I realized that I wasn't hooked in the story yet. I had followed the story that far - but I wasn't committed or engaged. I've said this before: when I read or listen to a work of fiction I want that suspension of disbelief - I want to be draw into the characters and the plot. I want to be vested in their outcome. That feeling of engagement never happened for me with "Simple Genius". If you are a David Baldacci fan and feel compelled to read or listen to this novel, I suggest the unabridged version. My guess is that there will be more than a few bits that ramble on without any clear direction (as is the case with Baldacci works), but the overall experience will be much more pleasurable. David Baldacci's "Simple Genius" is narrated by Scott Brick and runs 13 hours and 1 minute. The abridged version of "Simple Genius" is narrated by Ron McLarty and runs 6 hours 7 minutes. Both versions have a release date of 04-04-2007 and were published by Hachette Audio. "Simple Genius" by David Baldacci is available from Audible.com. Another week, another audio book. This week I listened to Chris Bohjalian's "Secrets of Eden: A Novel". As a resident of Vermont I've grown up reading Chris Bohjalian's column in the Burlington Free Press. I was vaguely aware that he had crossed into fiction and novels, but didn't take the time to listen or read to his work until I stumbled upon a segment on the today show rating "Secrets of Eden" as a top pick. By chance, my February audible credits had been freshly delivered that very day so I took a chance and downloaded Secrets of Eden. The premise of the story is a murder-suicide in small town rural Vermont. Alice is a battered woman who lives in fear and in the shadow of her controlling husband. There's an air of keeping up appearances as a well-respected business owner. It becomes clear that Alice hid her abuse well. This novel is written in four parts - each part telling the story from the point of view of a different character. In part one we meet reverend Stephen Drew - a seemingly stereotypical country pastor - well intentioned - but suffering a crisis of faith. Stephen baptizes Alice Hayward on the morning of her death - as though she had sensed her impending death. Stephen is rocked by Alice's death, ultimately leaving his flock. Part two is from the perspective of author Heather Laurent, a popular author specializing in the actions and presence of angels. It turns out Heather's mother was killed by her father as well - leaving Heather an orphan. For this reason Heather intervenes to help both Stephen and the Hayward's daughter Katie. Part three is narrated by a Vermont State Attorney - a young and ambitious mother of two - who suspects the dear reverend has not been entirely honest about his role in the small community of Haverall and his relationship with the lovely Alice Hayward. From the beginning there's suspicion that perhaps the murder-suicide was not what it appeared to be - but it's not until the last 15 minutes of the story that everything comes together. In these kind of novels I often feel like the ending is revealed in the first few chapters and the remainder of the book is spent tying up the loose ends. This is not the case with "Secrets of Eden" - I was surprised by the resolution of the story - and completely satisfied. This is not a book that will hold you prisoner from start to finish. I wasn't compelled to sit in the car after arriving at every destination to squeeze in another five minutes - but it was always a pleasure to step back into the story every time I got back into the car. If I were reading this book I'd imagine it'd be one that I picked up for a couple of hours every night until it was finished. I highly recommend Chris Bohjalian's "Secrets of Eden: A Novel" and while I've already started my next audiobook (Simple Genius by David Baldacci), I plan to go back and read/listen to Chris Bohjalian's other works as well - probably starting with "Skeletons of the Feast" (also narrated by Mark Bramhall). The book references many cities and towns in Vermont: The morgue at Fletcher Allen Hospital across the street from the gothic buildings on the University of Vermont campus in Burlington, the college town of Bennington, Rutland, Barre's rock of ages. If you live in Vermont you know that the town Barre is pronounced "Berry" - one narrator consistently called the town "Barr". I found this to be a pretty big oversight in a work by a Vermont author. I would have expected someone from Mr. Bohjalian's team to actually listen to the audio before it was released. Perhaps a small oversight by most listener's standards but I found the error distracting. Released on February 2nd, 2010 Secrets of Eden was written by Chris Bohjalian and produced for audio by Random House Audio. Running time 11 hours and 17 minutes and was narrated by Mark Bramhall, Susan Denaker, Rebecca Lowman and Kathe Mazur. The pager kept me up most of last night - I think I had a grand total of 2 hours of sleep between the hours of 11:30 and when I finally gave up and got out of bed at 6:30...Surprisingly I didn't feel like crap today - usually when I'm up all night with the pager I have that awful hung-over feeling without the fun part of causing a hangover. Of course there's nothing on TV at 3am - except during the olympics. So I tuned into the USA vs Norway curling game (match? Trial?). I'm vaguely aware of the concept of curling - but I've never really paid much attention to the game. What got my attention in the wee hours of the morning though were the rodeo clowns standing along side of the ring (lane?). While my foggy brain is trying to make sense of clowns at an olympic sporting event, I realize that those were actually the Norwegian athletes. Interesting fashion sense guys. Which means if I ever decide to take up curling - I won't need to go looking for a uniform - I think the smiley pants would fit in nicely on the clown team. Using the agility nerd's pickup stick method, I went out to waggles this afternoon with the intention to work weaves and contacts. As a bit of a lazy trainer I left the contacts where they were (a-frame and teeter) - I put out the weaves and moved the jumps around a bit. I didn't intend to work specific sequences, but I wanted options to work independent weaves and fast angles to contacts. Before I worked any sequences I got in my 10 a-frame reps, with increasingly more responsibility on Teller to get into his box. This first sequence (left) was mainly a warm-up to get us both moving. As an aside I've been much more proactive about stretching and warm-up for both of us. I lead out here to just before #2 with Teller on my right. I wanted him to see the off-course jump and get his weave entry with me layering the off-course jump. Success! I stayed behind him in the weaves pulling him around for a front cross to #4 and a front cross between #6 and #7. At the #8 weaves, I actually raced him through with Teller staying committed as I worked ahead of him. And lastly, the third sequence was for all the marbles (in this case hot dogs). #1-#4 are pretty straight forward - I tried a pivot and push over #5 to the #6 teeter, but I just didn't like where that put me. What I found worked better for Teller was actually a send to #4 and a front cross between #5 and #6. My initial plan for 7-8-9 was to send ahead through the weaves and call Teller over #8, push out to #9 and rear cross at #11. That didn't work as well as I expected it too - it was much harder to push out to #9 without being closer to #9. And I did end up rear-crossing #11, send out to #12, call over #13 and pinwheel to the #17 a-frame. I'm asking more of Teller relative to tight lines and keeping the bars up - and he's rising to the occaision. I had super weave entries and those fast independent weaves again. It was a great session - In exactly 15 minutes I accomplished everything I went out to accomplish and we even got in 40 minutes of ball in the yard while it was still mostly daylight - that's always a plus this time of year! Its a strange feeling to have an entire day off without any real commitments aside from carrying the pager this weekend (on-call). I took advantage of the free time and went grocery shopping - it'd been about a month since my last grocery store run so I felt like I was out of everything - which happens when you don't shop very often. I hadn't planned to make stew for the dogs today, but roasting chickens were on sale for $.49/lb - it was hard to pass them up. So I picked up two chickens (about 5lbs each) and the rest of the ingredients to make some stew for the dogs. Back in the day when I was exclusively cooking for the dogs I had to be a lot more concerned about balanced nutrition and balanced fats and proteins. Since this was just a couple of days worth of dog food I skipped the weights and measures part of the preparation. 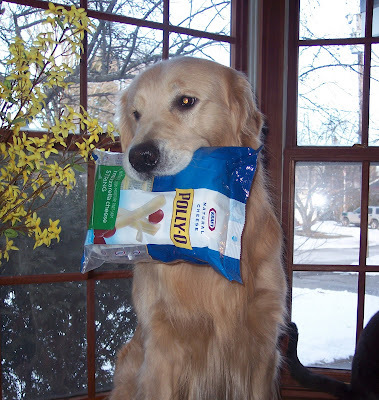 If you have a dog with special dietary needs you should adapt this recipe as necessary. Place chickens in a large pasta pot, fill pot with enough water to completely cover the chickens. Bring chicken to a boil, then turn heat down to medium and simmer chicken for 2-4 hours (covered). The idea here is to make one heck of a broth so check the pot often adding additional water as needed. Evacuate chicken to a strainer retaining the broth. Allow chicken to cool before de-boning. Return broth to pasta pot, add carrots, lentils and barley and bring to boil. Boil for 5 minutes, cover and drop heat to simmer for 45-60 minutes. The lentils and barley should have adsorbed most of the broth, add the deboned chicken, thawed spinach and eggs. Stir to combine. Serve at room temperature. Chicken can be replaced with turkey, lamb, fish or beef. 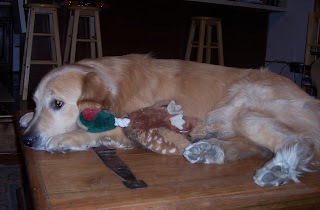 I once made some venison stew for Murphy when I was gifted a hunk of a whitetail deer. Twice I tried this recipe with a whole turkey and struggled with bits and pieces of turkey in several pots. Not to mention the actual process of cutting a whole turkey into pieces to fit in my pasta pot! The barley and lentils can be substituted by oatmeal, pasta, rice or quinoa. For my two guys this recipe makes approximately 4 days of dog food, depending on what else they're eating and how much they're training. It's easily digestible (at least for my guys) so I can swap it in for a day or two without any transition of their current food (currently that's Honest Kitchen Keen). It also freezes well. Witch and Wizard is a new release from the legendary James Patterson. I've enjoyed most of the Patterson works that I've read and listened to. James Patterson consistently weaves an interesting storyline with likable characters. Some of his reads are a bit shallow in that kind of bubblegum pop way - but altogether a pleasant way to spend a few hours on the road. So when I saw that there was a new Patterson novel (on release day) I spent an audible credit and downloaded "Witch and Wizard". I honestly didn't read the description very closely - taking a leap of faith knowing the consistency of the author. At the very opening of the story the Allgood family is standing at the gallows awaiting executions - not a particularly good beginning to a story. The plotline flashes back to the beginning of the roundup of all people suspected in having magical powers. As typical teenagers, Whit and Wisty Allgood are living self-adsorbed teen-aged lives without any inclination that the tides of freedom are changing under a newly elected party in what I interpreted to be a future USA. As I later discovered, this is the first book in a planned series. The story line itself is slow - I didn't love the narration. I found that the reading was overly dramatized with a certain degree of teen-aged valley-girl inflection. The teen angst in the reading is distracting to the plot. I nearly stopped listening half-way through the audiobook because I just wasn't getting into the story, I persisted and it did get better - but never to the level that I expect of a James Patterson novel. There are tones reminiscent of George Orwell's "1984" throughout the story - government of the people becomes a government against the people. Order above common sense, etc. Some of the very officers tasked with imprisoning Whit and Wisty are former classmates who have been drawn into the new revolution - not unlike young SS recruits in Nazi Germany. Over the course of their imprisonment they begin to discover their powers - and why the government fears them. The characters become more likable in the last third of the novel - and I am glad that I stuck it out to the end of this installment of the story. I've since read some comparisons to JK Rowling's Harry Potter books. I really didn't find any parallels to Harry Potter in "Witch and Wizard". Indeed, the only similarity I could find between Witch and Wizard and Harry Potter are the nouns "witch and wizard". If you go into this novel with the expectations of a magical and somewhat whimsical joys of Harry Potter and Hogwarts you will be disappointed. The series has some good potential to get better and to develop the characters further (and I hope they do), it's important to note that the end of the this novel doesn't offer any closure and even fewer hints on what might become of Whit and Wisty (other than their future execution) as the series continues. I'll read the next book in the series - perhaps not on the morning that it is released. I'm not at all "hooked" on the concept or the series yet, but I liked it well enough to give the series another try. "Witch and Wizard" was written by James Patterson and Gabrielle Charbonnet. The audiobook (available at audible.com ) was narrated by Spencer Locke and Elijah Wood. Runtime is 5 hours 41 minutes. There is a free (for audible members) excerpt available for this title. Every July, a very special special thing happens in Vermont - a week-long summer (sleep away) camp opens for children that have cancer. For one week of the year they get to be kids at summer camp - just kids at camp... Their counselors are all volunteers - some of them doctors - all of them amazingly strong and dedicated people. There are camp volunteers that have been there every summer for decades. The camp is funded entirely through donations - part of which comes from a huge (for Vermont standards) media blitz and telethon each winter (WOKO and KOOL 105) all so that the campers - ALL CAMPERS - attend for free. Last year Camp TaKumTa lost the use of the Camp Holy Cross on the shores of Lake Champlain that had been their home since the camp's inception in 1984. The camp was able to find some land of their own last year, but they must build the camp from scratch. Without cabins, last summer the campers and councilors slept in large tents on loan from the Vermont National Guard - but the camp went on! A long term goal is the construction of real cabins on the new camp site - in a turn of luck Camp TaKumTa is an entry in the Pepsi Refresh project. If they receive enough votes, the camp could win $250,000 - enough to build their cabins in time for camp this summer. A vote will only cost you time and you may vote once per day per email address throughout the month of February. Please take a moment and vote for Camp TaKumTa. After you vote, please publish the link on your Facebook, MySpace and Twitter feeds. Email your friends - ask them to vote - and then do the same tomorrow and the next day. I'm slowly getting back into obedience work for Teller. Last night between puppy and basic classes I asked him for some heelwork, drops on recall and some out of sight stays. After work tonight we went out to Waggles and worked on some a-frame reps and weave pole entries. I'm feeling like his confidence in the weaves has increased exponentially - he's really independently working in the weaves now - allowing me to race him to the end of the weaves, rear crossing into them, layering other objects and even confidently weaving when I'm hanging back and sending him through the weaves. After dinner (his and mine) we worked some scent articles - I re-introduced them last weekend after our 4 month obedience hiatus. The funny thing is how Teller learns and retains information. Within two sessions he was back up to working a full pile of articles again at 100% accuracy. It's that honest quality to his work. If he understands what is being asked of him he does exactly what you want him to do - or more accurately he does exactly what I've taught him to do. The first article is #4 metal dead center, then #4 metal at 5 o'clock, then #4 leather at 12 o'clock and #4 leather at 2 o'clock. Teller will always turn to the right. On go outs I send him a bit to the left of where I want him because I know he'll turn to the right when I interrupt him and ask for the sit. The same thing when it comes to the article pile. He almost always (better than 95%) will enter the pile on the left side, go through the middle and exit on the right side of the pile. Video is muted as my slippers made an obnoxious squeak on the freshly waxed wood floor which I found to be distracting when I watched the video - the sounds of Teller working the pile were funny (still muted) - he definitely thinks that articles are a fun game to play. You'll also see a brief cameo from Q the kitty - who decided to "help" with articles tonight. I figure if Teller can work his articles with a kitty just to the left of the pile, he'll certainly be able to work the pile when there are other distractions. For those that are local - I'm going to be enlisting your services to help me with articles. I need help setting them up, carrying the article to the pile, etc etc - basically playing judge and steward. I set this course up for run-throughs the weekend after the beardie trial. I pulled bits of a couple different courses and added a few components of my own. It's one of my recent favorites as it combined so many of the interesting challenges from out last trial. While it was not my intention to do so, I found this setup to ask more questions of the handlers than asked of the dogs. If the handlers answered these questions successfully - the dogs were successful too - of course that is generally the case isn't it? With Teller I handled 2-3-4 as a serpentine, with a moving start, spin and send to the tunnel. Setup that way he never looked at the off-course (#10/#17) jump. There was less success for the folks who tried to call over #3 and rear cross to #4. A rear at #4 basically sent the dogs into the off-course tunnel - or interestingly to #8 - which I didn't see as an option when I set up the course. I front crossed after four to the #5 tunnel which felt a little awkward and we lost a lot of momentum - but I think that was a matter of sharpness of the angles than it was the front cross. My second segment was #6 through #12. I had to watch my own positioning as I was tempted to get too deep into #7 and not be in a good position for that inside line #8-#9-#10. All of the dogs were tempted by that #19 off-course. They all extended and moved out down the line and it was a strong pull to #11 and the weaves. 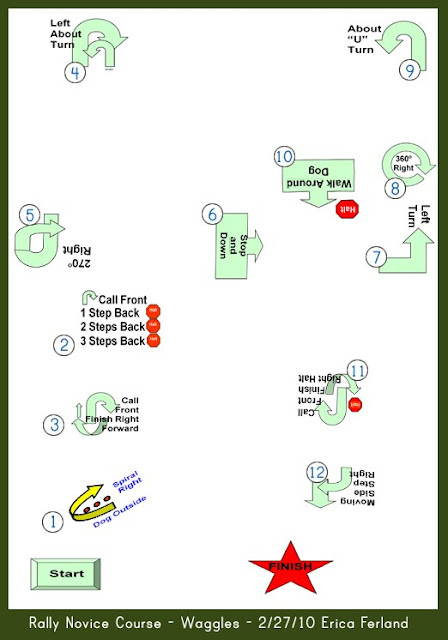 The handlers that had the most success were the ones who sent to #10 from the -20/25 position and then pulled for #11. I handled #14-#15-#15 as another serpentine - though it felt like an easier pull to #18. Obstacle #19 really made dogs and handlers think, most dogs willingly back-jumped #18 if their handlers did not support their path from #18-#19. January is long and cold here in Vermont; There is something about the start of February that makes me want to force spring to come sooner..I know I can't move the calendar, but there's something about putting hands in earth that is uplifting to a winter soul. On my way out to Waggles yesterday I noticed that the local Agway was having a 50% off sale on all Burpee seeds. Last spring I waited too long to buy seeds and by the end of May most stocks were slim pickings - one or two varieties of each vegetable, but not anything like the late winter optimistic selections! Today's purchases and garden planning included a couple of slicing cucumber varieties, a pickling variety of cucumber, four kinds of summer squash and zucchini, some sugar snap peas, green and waxed bush beans, broccoli, carrots, radishes, eggplant, cauliflower, pumpkin, cantaloupe, watermelon and some kale. It's going to be a BUSY garden this season. While my mother, grandmother, aunts, uncles and cousins are all incredibly gifted gardeners - it's never really been my skill. I'm not sure if it's zen, patience or karma - I love the process - the romanticized notion of being one with the land, the creation of nourishment, the quality of having a well kept garden - my application is often flawed. Last year a June frost, a tomato fungus and a very wet summer trashed my little plants. Even with the best intentions I harvested exactly three cucumbers, two squash and only a handful of peppers, carrots, radishes and tomatoes. I'm hoping to turn all of that around this year with a liberal application of cow manure and a more consistent time commitment to get out there to weed, water and talk to my plants. 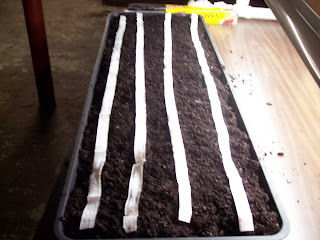 Of course it's too early to really start seeds now - and in the past when I HAVE started seedlings inside I haven't particularly loved the results - my tomatoes never harden properly - usually too tall and unable to withstand winds, even when planted deeply and with support. I know this was mostly attributed to starting them too early in the spring and also not acclimating them to natural sunlight. I have three grow labs that I built years ago (I have the plans if anyone is interested in building their own) and as I was picking up those little paper envelopes of seeds I was so tempted to start them all - and start them TODAY. Luckily my more rational side prevailed and I left with the notion to start just a single packet of seeds this afternoon. 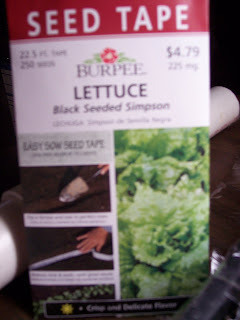 I chose a loose leaf lettuce to grow indoors - In particular an heirloom variety called "Black Seeded Simpson". 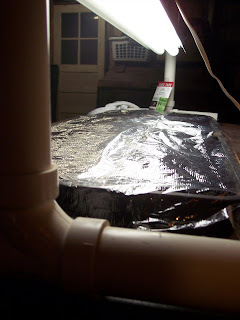 I appreciated that it came in seed tape format (as I tend to over-seed); it's a spring variety and I wanted to set up the grow lab in my basement(it's pretty consistently around 60 degrees down there) and lastly because BSS harvests in about 45 days. If all goes well (Q! is a huge variable in that equation), I will have my own freshly grown lettuce around mid-march! By that time I can start a couple of the squash and cucumber varieties if I'm feeling motivated to do so - or I can start another batch of lettuce. 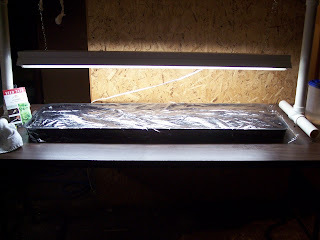 A folding table from the garage and the grow light setup and ready to go. I was pleased that the bulbs still worked after they'd been packed away for so long. This dark corner of my unfinished basement is pretty bright now. I used significantly more seed tape than I should have. 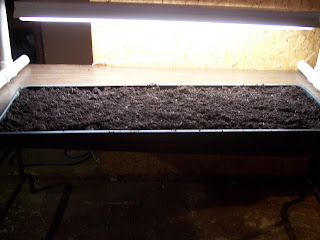 But given my track record, I'd rather thin the seedlings (or start them in a new tray) than have to start all over. The packet called for 8" distance between plants. All finished! Covered with saran wrap to help keep the moisture in and the cat out. They're on a 12 hour timer to start with. 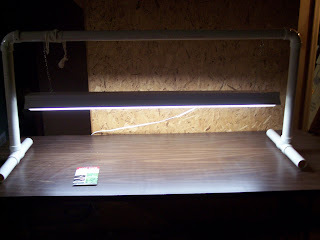 There isn't much natural light in the basement. 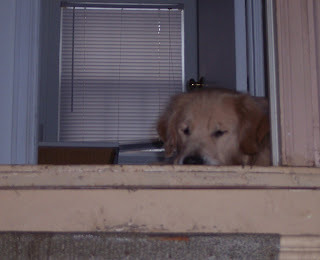 Meanwhile, Teller at the top of the stairs, waiting patiently. I don't often have the time to sit down and read a book purely for pleasure, I read a lot of technical rags and a few dog related publications. If I'm preparing for an exam (Microsoft mainly) I have been known to pick up and read a thousand page technical exam preparation book - which is not fulfilling and pleasurable in the same way that a great work of fiction can be. What I can do however, is to make use of the bits and bobs of available time that I spend driving to work, driving home from work, driving to waggles, driving to shows, to the grocery store, etc etc. So I've re-discovered audio books - I get the necessary (for me anyway) suspension of disbelief and it makes my commutes infinity more pleasurable too. Off-topic but relevant: It was of course the philosopher Samuel Taylor Coleridge who once wrote “It is that willing suspension of disbelief for the moment which constitutes poetic faith.”. I need a certain dosage of poetic faith from time to time and don't we all? "Somewhere the zebra is dancing. I find that I spend a lot of time in the car every week - I tend to listen to about an hour of audiobook each day - spread over 2-4 sessions. I don't think I ever realized that I spent that much time in my car every day! In the last couple of months half a dozen people have urged me to read Garth Stein's "The Art of Racing in the Rain". I looked at the Amazon description and never got past the "on the eve of his death" part. I've become sappy as I've aged and I've kept my audiobook selections to relatively upbeat works of fiction (Dan Brown, David Baldacci, Audrey Niffenegger, Douglas Adams and James Patterson are among the last few books that I've listened to). The peer pressure and all of the folks INSISTING that it really wasn't a sad book despite the death of the dog (and that's not a spoiler, btw - the dog narrates the end of his life within the first 10 minutes of the novel). So I used an audible credit and purchased "The Art of Racing in the Rain". 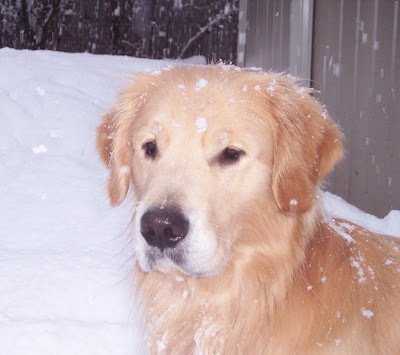 Written (and read) from the perspective of an old dog, Enzo details the story of his life and his family. Enzo's master is Denny Swift - a talented aspiring (struggling) race car driver, racing school instructor and BMW mechanic. He's a good master and a good man. Garth Stein's characters are vivid and likable. Enzo, our storyteller is simple and genuine - he is wise beyond his lack of opposable thumbs. 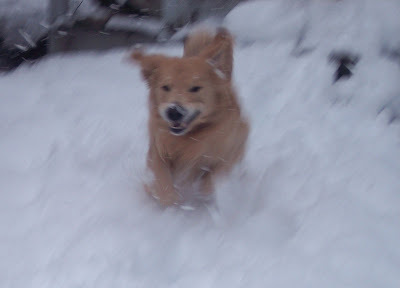 While not a dog book per se (nor is it a car/racing book) there are so many parallels to the dog sports that I love. The zen vibe that runs throughout the book gave me pause as I decide my own path this season. From Enzo's firm belief (based on watching a documentary on Tibetan monks) that a when a dog dies, if he has learned all there is about being a dog, his soul returns as a man. There are nuggets of sports wisdom reminding the reader that "the race is long - in order to finish first, first you have to finish". "Here's why I will be a good person. Because I listen. I cannot talk, so I listen very well. I never deflect the course of the conversation with a comment of my own. People, if you pay attention to them, change the direction of one another's conversations constantly. It's like being a passenger in your car who suddenly grabs the steering wheel and turns you down a side street. For instance, if we met at a party and I wanted to tell you a story about the time I needed to get a soccer ball in my neighbor's yard but his dog chased me and I had to jump into a swimming pool to escape, and I began telling the story, you, hearing the words "soccer" and "neighbor" in the same sentence, might interrupt and mention that your childhood neighbor was Pele, the famous soccer player, and I might be courteous and say, Didn't he play for the Cosmos of New York? Did you grow up in New York? And you might reply that, no, you grew up in Brazil on the streets of Tres Coracoes with Pele, and I might say, I thought you were from Tennessee, and you might say not originally, and then go on to outline your genealogy at length. So my initial conversational gambit - that I had a funny story about being chased by my neighbor's dog - would be totally lost, and only because you had to tell me all about Pele. Learn to listen! I beg of you. Pretend you are a dog like me and listen to other people rather than steal their stories." Enzo does listen and he does grow. He is loyal to a fault and infinitely lovable. 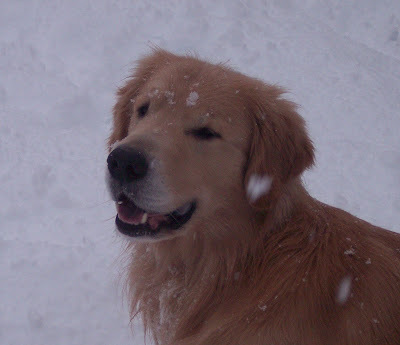 I found myself looking at my own dogs for Enzo-like qualities. The ability to read my mind and impart their wisdom and zen on others. More than a little ironic because Teller does not embody the concept of zen . I finished the book on my way to work on Thursday morning - I was tempted to sit in the car on Wednesday night to finish it, but I decided to wait. To stretch out the story just a little bit more. So as I drove to work Thursday morning, tears streaming down my face and occasionally chuckling to myself, crying again and then finally smiling it was clear that all of those folks who pushed me to read this book were right. It's worth the time and the tears. In an effort to be more consistent with what we're working on and training, I'm posting the course from today's run-throughs at Waggles. The caveat is that this wasn't my design - Lori left this setup in preparation for run-throughs today. What was great about this course is that there was actually space for the bog dogs to get moving, more often than not it's hard to get enough space between obstacles to allow the dogs to move out and extend. It's just a function of the dimensions. Walking the course I didn't have a good plan for #2 to #3 (tunnel to weaves). I could lead out to the tunnel opening and front cross and send into the weave poles, but the dogwalk was so tempting out there for one and I was concerned that I'd block his weave entry, sending him in at pole two - there just wasn't a lot of space for me to be there yet out of his way. Since this was a run-through and therefore nothing at stake, I decided to see what I had if I called him through the poles. I generally do a startline stay/lead-out - even to just get myself setup on the other side of the jump. In this plan though I ran with him from the start, over #1 and send to the tunnel. Once he was committed to the tunnel (position A) I was able to move backwards to (position B) and call him through the weaves and then pivot to the table. We've been working on tunnel/contact discrimination and that work has paid off - (#4-#5). The #5-#6 combination is probably my least favorite combination in all of agility. There just doesn't seem to be a particularly safe and efficient way to get out of the tunnel and far enough out to a) not waste a lot of time, but also b) give the dog a safe approach with enough momentum to get over the a-frame. Teller will take the a-frame from any angle I ask of him - but...just because he can, doesn't mean he should (one of my favorite training phrases). We're still working the box on the a-frame and a couple of cool things happened today - first, I pulled off the a-frame around the #5 tunnel as I headed to #7 and Teller popped off the a-frame above the contact (one hit on the way down) - AWESOME! I took him back around and he did the same thing - really cool. The problem I've been having is getting him to miss the contact in training - now I had a scenario that I could reproduce. It took him another miss before he got it - and it was a bit of a lightbulb for him I think. And the fourth time around he slammed a second hit into the box. JACKPOT! So we schooled it again, this time I very obviously broke off at an angle to try to pull him off the contact - Fool him once, twice and thrice - but no more than that. What a super thinker he is! The rest of the course was pretty straight forward, his sits on the dogwalk are becoming more automatic with less deceleration from me, he's also letting me run ahead of him while he's remaining in a sit on the dogwalk. As much reinforcement he's had on the a-frame lately, I am always pleased when he takes the tunnel when asked. Murphy for his part got to play with his favorite terrier, chased some balls, pick-pocketed from his favorite poodle person (free cookies are high on Murphy's all time best list). We came home this afternoon and the boys got to have green tripe on the deck outside - another favorite treat for them - though not so much of a treat for me. All in all, I think it was a really good day for the boys!